Soshi Daito-ryu Aiki Jujutsu Roppokai. Okamoto Seigo Soshi has been considered by many as the most progressive teacher of Daitoryu Aikijujutsu. Okamoto Soshi adhered to Kodo sensei’s wishes to spread the knowledge of Daitoryu Aikijujutsu and founded Daito-ryu Aikijujutsu Roppokai in 1980, the year Kodo sensei passed. 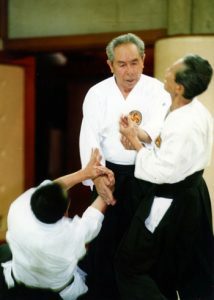 In 1985, Okamoto sensei was born Feburary 10th 1925 in Yubari, Hokkaido. In 1963, Okamoto sensei enrolled to Kodokai in age of 38 and studied under Horikawa Kodo sensei. 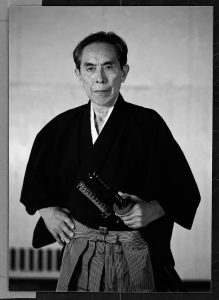 “As you learn more the Aiki skills this skill does not could be applied without the use of physical strength” in spite of the slow starting in age of 38, Okamoto sesei was licensed as 7th dan in age of 49(1974). Okamoto sensei moved to Tokyo in age of 52. 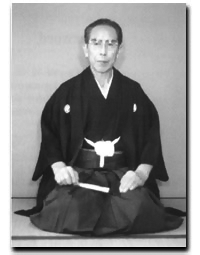 Okamoto sensei was licensed as Shihan from Horikawa Kodo sensei in age of 53(1978). Horikawa sensei paassed away in following year Okamoto sensei have been licencensed as Shihan. 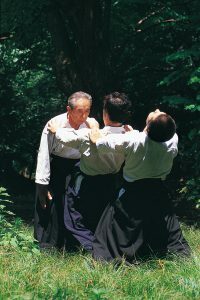 In order to inherit the will of the Horikawa sensei’s technique and sprit, Okamoto sensei founded Daito-ryu Aiki Jujyutsu Roppokai. Along with many of students Okamoto sensei dedecated himself to developing the excellent techinique and spread Horikawa sensei’s Daito ryu Aiki jujitsu. Okamoto sensei passed away in January 16th 2015.